This Victorian inspired ensemble is the epitome of regal and ultra feminine making it just perfect for traditionally themed weddings. 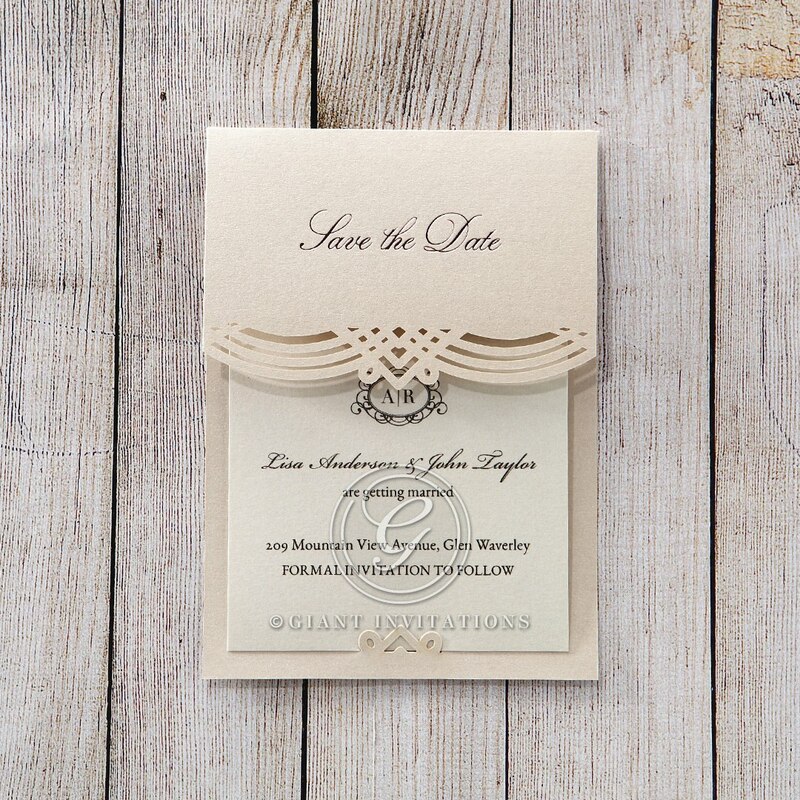 The backing frame is made out of quality stock with the most subtle blush hue and elegantly adorned with the lavish gold foiled ‘Save the Date’ text. 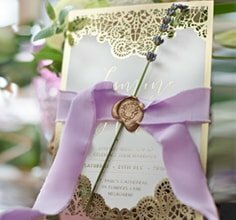 The intricate laser cut edge of the frame adds character to the romantic appeal of the design as it works flawlessly with the opulent thermographic ink lettering and the monogram like frame that surrounds you and your partner’s initials. Maintain its classic style by customising the inner card with a springtime colour.